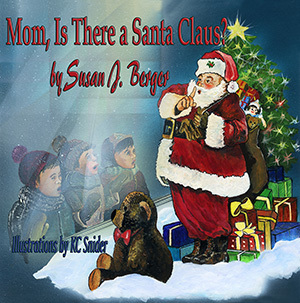 When Scott’s friends tell him there is no such thing as Santa Claus, he rushes home to ask his Mom if Santa is real. Will he decide to keep the dream alive? It’s the age-old question that no parent wants to answer. Is there a Santa Claus? What Berger has done with this story is come up with a unique and special way of answering this question that helps young people embrace the spirit of the season. As someone who believes Santa is alive and well, I loved this book and its wonderful message. Every time I see Christmas artwork by K.C. Snider I adore it. Being a huge fan of her work, my dream is to have her illustrate one of my books some day. The colors she chooses, the emotions she captures, and the details in each and every picture draw the reader right in. I swear when that snowball tossed by Clay hits Scott, I get a chill. This sweet story is one you’ll want to read over and over. Don’t miss it. I received a free digital copy from the author. This review contains my honest opinions, which I have not been compensated for in any way.